Connections for Abused Women and their Children (CAWC) is an organization committed to ending domestic violence. Through empowerment and self-help they provide shelter, counseling and advocacy for people affected by domestic violence. On Saturday, March 9th, 350 supporters, including representatives from Equity Residential, came together at the Hyatt Regency Chicago to celebrate CAWC’s mission. 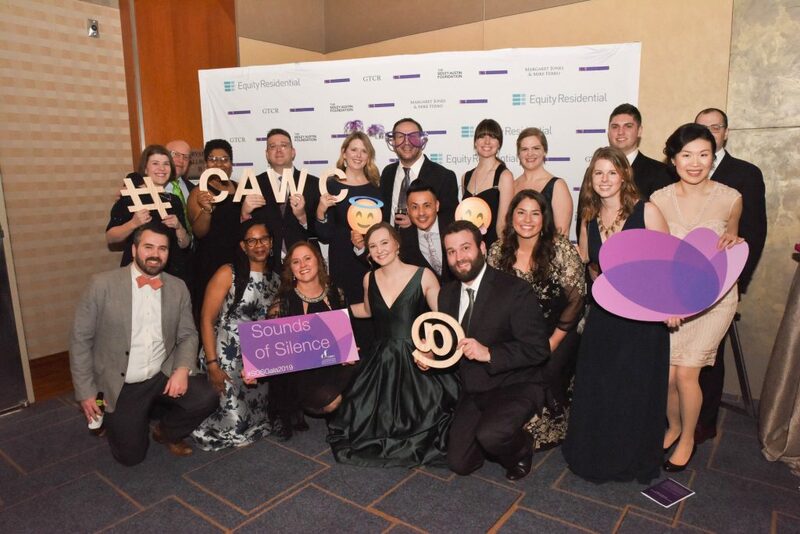 The event, known annually as the Sounds of Silence Gala, was particularly poignant as Equity was recognized this year as a Transformational Sponsor. The night was filled with inspiring guest speakers, auctions, dancing and good fun. But more than that, the event raised $266,733 and continued the conversation on a vitally important topic. Every day, CAWC works hard to end domestic violence through life-saving programs and services. At Equity Residential, we are proud to stand with them.